Three dogs named Buddy, Harley and Faith, have successfully ‘graduated’ to help three children who have autism. A mother of one of the children said that the dog completely changed not only the boy’s life, but also that of the whole family. Buddy, Harley u Faith looked excited during an MCAST activity when they graduated from a two-year course to serve as service dogs for 3-year old Nicholas, Thomas aged 4 and 10-year old Jake, due to their autism condition. According to the Service Dogs Malta Foundation, the graduation of Buddy, Harley and Faith is an enjoyable occasion as it is only four out of ten dogs which succeed in obtaining the certificate. Nicholas mother, Rochelle Bonello, told tvm.com.mt that Buddy changed her son’s life and they cannot imagine themselves without him. “Today, the dog and the boy are always together, they sleep together, watch TV; if the boy is sick the dog wakes me up to make me aware he needs me”, the mother said. The Service Dogs Malta Foundation, led by Joseph Stafrace, was established three years ago and offers the dogs free to families who need them. Every dog, with its training, costs around €15,000. Mr Stafrace says that the foundation will in the future train also dogs for diabetes patients and other forms of disability. “In the future we will train dogs for persons with hearing problems, people using wheelchairs; and also offer pet therapy”, he stated. Irisann Maria Agius, an MCAST student, launched a mobile app to educate dog handlers so that the dog can be trained to realise when a person’s blood sugar level drops. “With the needed assistance, the dog approaches the person, touches his legs or takes hold of a toy; this application explains the process”, Ms Agius said. 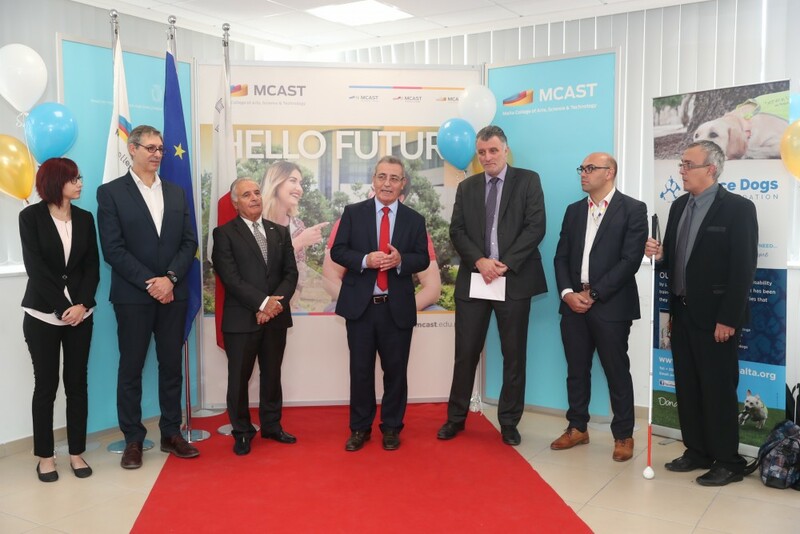 Education Minister Evarist Bartolo thanked MCAST and the Service Dogs Malta Foundation for their enthusiasm to make a difference in families who have children with autism condition.